On Oct. 18, 1929, women are finally declared "persons" under Canadian law. 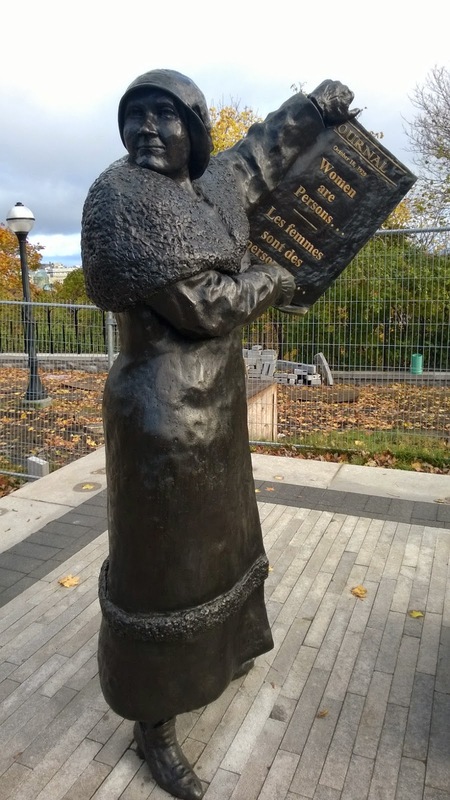 The historic legal victory is due to the persistence of five Alberta women -- Emily Murphy, Nellie McClung, Irene Parlby, Louise McKinney and Henrietta Muir Edwards. The battle started in 1916. From Murphy's very first day as a judge, lawyers had challenged her rulings because she is not a "person" under Canadian law. By 1927, the women have garnered support all across Canada. They petition the nation's Supreme Court. After five weeks of debate, the appeal is unanimously denied. Shocked, the women take the fight to the Privy Council of the British government; in those days it was Canada's highest court. The Persons Case was a landmark case in two respects. First, it established that Canadian women were eligible to be appointed senators. Second, it established what came to be known as the "living tree doctrine", which is a doctrine of constitutional interpretation that says that a constitution is organic and must be read in a broad and liberal manner so as to adapt it to changing times. It is quite shocking to think that as late as 1929 the constitution of a liberal democracy like Canada did not recognise women as persons.